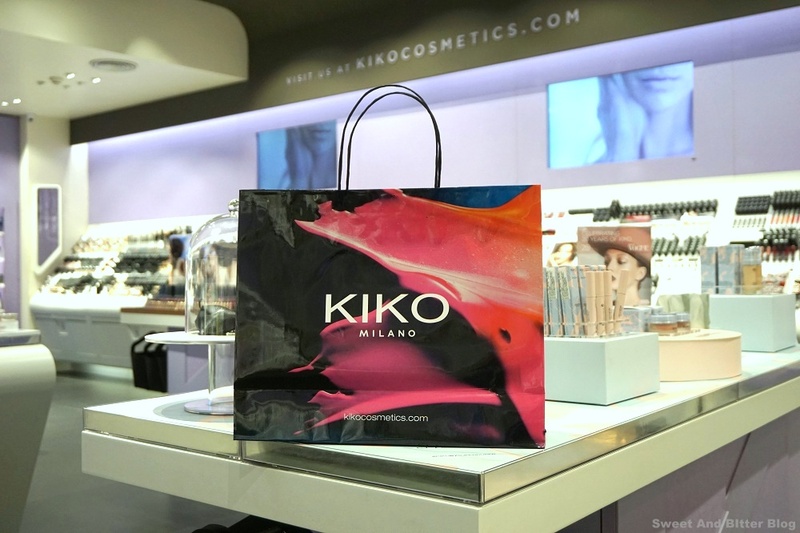 I first went to Kiko, but I had very little time. I picked a couple of products that day. In few days, I had the chance to go and explore, and I picked everything that looked unique. The price range is affordable with lipsticks as low as Rs 290 to the long stay ones at around Rs 1000. They also have some skincare. What I liked about them are the limited edition products that change frequently and in line with the international launch. I picked one thing from the limited edition range which is absolute love. 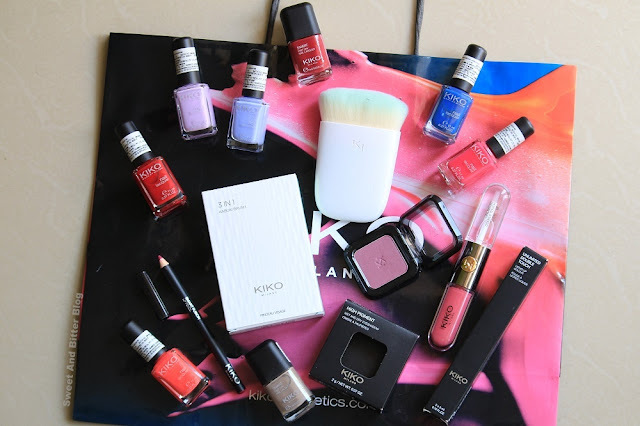 Nail polishes: I had just one nail polish with me! One. So, I had to pick few to start my collection here in Delhi. There are priced at Rs 290, but there was some promotion for which I got them for just Rs 190. A couple of them are for Rs 250. I hope they are as good as or better than Colorbar. High Pigment Eyeshadow: I picked 64 which is an onion pink with loads of silver shimmer. Loads. They can not glued but fitted with a magnet base so, can be depotted and fit into a trio palette as well. I got it for Rs 560 (discounted rate). Unlimited Double Double Touch: I asked for a matte long lasting lipstick, and they suggested me this. It is almost like paint and lasts through everything. I picked this beautiful Rhododendron Pink which I cannot get enough of. Finally, there is something that is receiving more love than Colourpop Bumble. Lip Liner: A random purchase from the first day. I intend to use it as a lip color. More about them in their review posts. Liked anything? Let me know if you wish to know more about any of the products.